Art by Vincent Waller, the Creative Director on SpongeBob SquarePants. BURBANK, Calif.--May 23, 2017--Nickelodeon today announced that SpongeBob SquarePants, the number-one animated show for kids 2-11 and kids 6-11, has been greenlit for season 12. The 26-episode pick up will further the nautical adventures of SpongeBob and his Bikini Bottom friends Patrick, Sandy, Mr. Krabs, Plankton and Squidward. Season 12 is scheduled to premiere in 2019, the series’ 20th anniversary year. The pickup comes on the heels of the recent announcement for a third SpongeBob SquarePants theatrical from Paramount Pictures and Nickelodeon Movies, also slated for 2019. 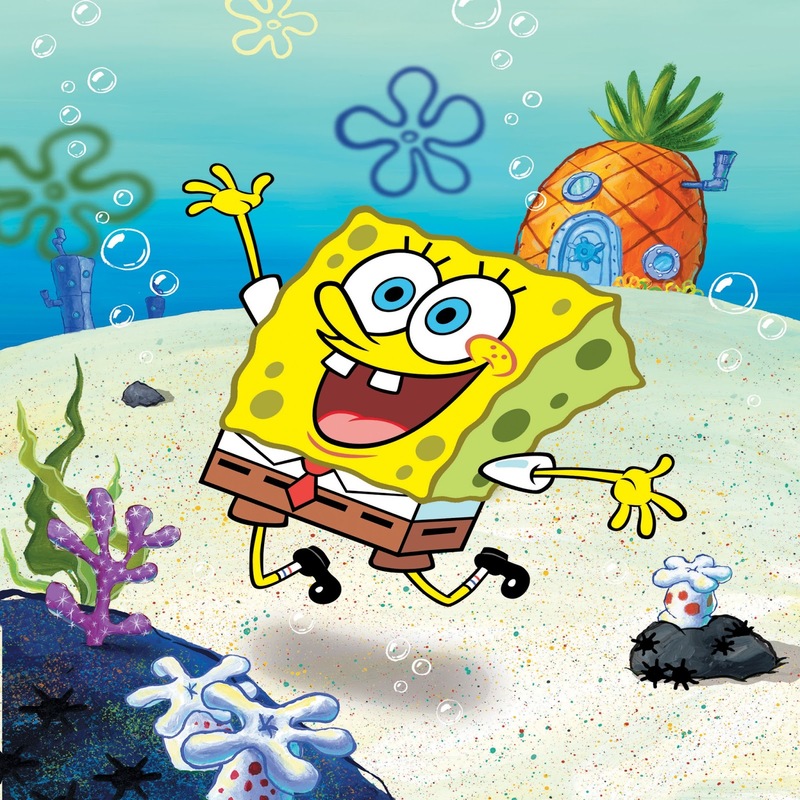 SpongeBob SquarePants, the most-watched animated program with kids for more than 15 consecutive years, will debut season 11 later this summer, and feature the return of fan favorite characters including: the mischievous pencil-drawing Doodle Bob; SpongeBob’s friend and creation Bubble Buddy; the super villain Man Ray; and Cave SpongeBob, who made his debut in season one. 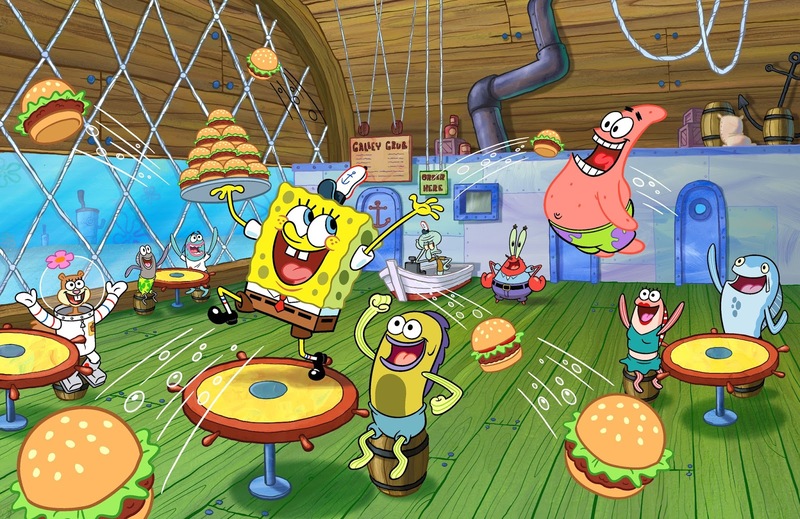 SpongeBob SquarePants is voiced by veteran cast members: Tom Kenny as SpongeBob SquarePants, an incurably optimistic sea sponge who lives in a pineapple under the sea; Bill Fagerbakke as Patrick Star, SpongeBob's silly best friend; Roger Bumpass as Squidward, an aloof cashier of The Krusty Krab and SpongeBob’s neighbor; Clancy Brown as Mr. Krabs, SpongeBob's boss and greedy owner of The Krusty Krab; Carolyn Lawrence as Sandy Cheeks, Bikini Bottom's only resident rodent aquanaut and scientist; and Mr. Lawrence as Plankton, owner of the Chum Bucket and chief rival of Mr. Krabs. Since 1999, many notable guest stars have voiced imaginative characters, including: Amy Poehler, Mark Hamill, David Bowie, Alton Brown, Johnny Depp, Dennis Quaid, Ricky Gervais, Rosario Dawson, LeBron James, Tina Fey, Craig Ferguson, Will Ferrell, P!nk, Victoria Beckham, Kristin Wiig, Ginnifer Goodwin, John Goodman, Andy Samberg, Johnny Knoxville, Bob Barker, Betty White, Aubrey Plaza, and Jon Hamm, among others. Viewers can visit the SpongeBob SquarePants page on Nick.com, the Nick App and the Facebook page, along with the SpongeBob Facebook page and SpongeBob Instagram, to get an exclusive look at the series. 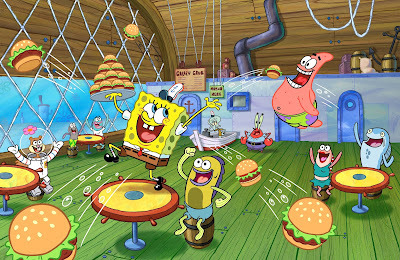 Episodes of SpongeBob SquarePants are available on Nick.com and the Nick App, along with platforms including iTunes, Amazon Video, Google Play, Vudu and Nick On Demand. SpongeBob SquarePants is executive produced by creator Stephen Hillenburg, who previously worked as a writer, director and creative director on Nickelodeon’s animated series Rocko’s Modern Life. Hillenburg graduated from the California Institute of the Arts with a master’s degree in experimental animation and studied marine biology and art as an undergraduate. Hillenburg created and executive produced his first feature film, The SpongeBob SquarePants Movie, which debuted Nov. 19, 2004 and his second theatrical, The SpongeBob Movie: Sponge Out of Water, hit theaters Feb. 6, 2015. 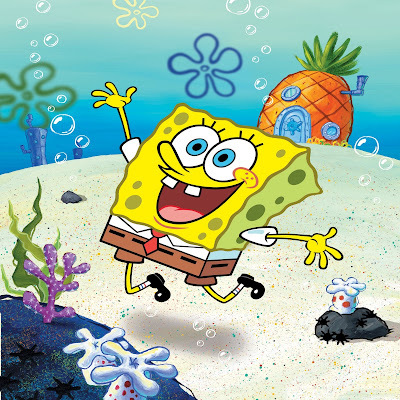 Marc Ceccarelli and Vincent Waller are supervising producers on SpongeBob SquarePants. The series is produced at Nickelodeon in Burbank. Since its launch in July 1999, SpongeBob SquarePants has emerged as a pop culture phenomenon. The series has been the most-watched animated program with kids 2-11 for more than 15 consecutive years, and over the past several years, it has averaged more than 100,000,000 total viewers every quarter across all Nickelodeon networks. 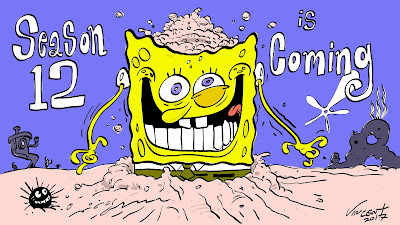 SpongeBob SquarePants is the most widely distributed property in Viacom International Media Networks history, seen in more than 208 countries and territories and translated in 55+ languages. The Paramount Pictures feature film The SpongeBob Movie: Sponge Out of Water premiered Feb. 6, 2015, landing at #1 opening weekend. The character-driven cartoon chronicles the nautical and sometimes nonsensical adventures of SpongeBob, an incurably optimist and earnest sea sponge, and his undersea friends. More Nick: Nickelodeon Renews Top Hits From Top-Ranked Preschool Portfolio! Additional source: NY Daily News.